We appreciate every new opportunity we get to help with an Oak Brook remodeling contractor job. For years now we have been known around the Oak Brook and surrounding communities as the premier choice for Remodeling Contractors. Since 1997 the team here at Best Home Renovations has been proudly serving the community. Yet we still meet people who aren’t 100% sure why they need this type of project done. So, here are some of the top reasons for getting your bathroom renovations completed. – Add value to your home – your upfront investment is immediately balanced out by the fact that your home value goes up. – Update the look – stop dreading the time you spend in here by giving it an entirely new look. – Enjoy the latest technology – don’t just keep up with the Jones’s; be the Jones’s! Contact us so we can begin to show you the options you have available. We will find out what your main goals are and then help you make the smartest choices possible for your renovations project. Let’s get started today. Aside from bathroom remodeling, the Oak Brook kitchen remodeling project is also another popular favorite. The number one complaint we hear about a homeowner’s current kitchen is that it isn’t functional. There simply is no point in spending another day using a kitchen that doesn’t work the way you want or need. The second reason we hear the most of is that the kitchen is outdated. Out professional team of experts can help you to update and upgrade your kitchen. The bottom line is that we want you to love your kitchen again and our work makes that possible. Know what else has helped earn us a number one rating for 100% customer satisfaction? It just happens to be our Oak Brook basement finishing. So many homeowners live for so long with a basement they cannot use for anything more than storage, a laundry room and a place for spiders to live. Why let any space in your home go wasted? Our crew is ready, willing and beyond capable of giving you the finished room you thought you could only dream of. Create a family game room. Or maybe his man cave. A yoga space or even a place for guests to come visit. But we can’t get started with your Oak Brook kitchen remodeling, bathroom remodeling or basement finishing project until you contact us. 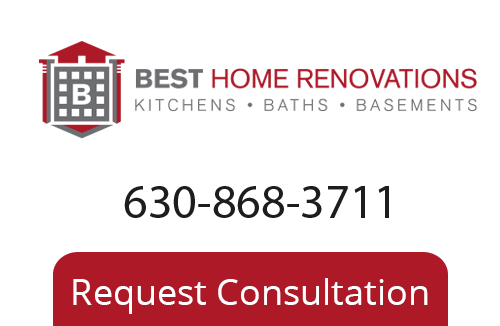 To learn more about our Oak Brook Remodeling Company please call 630-868-3711, or fill out our online request form.